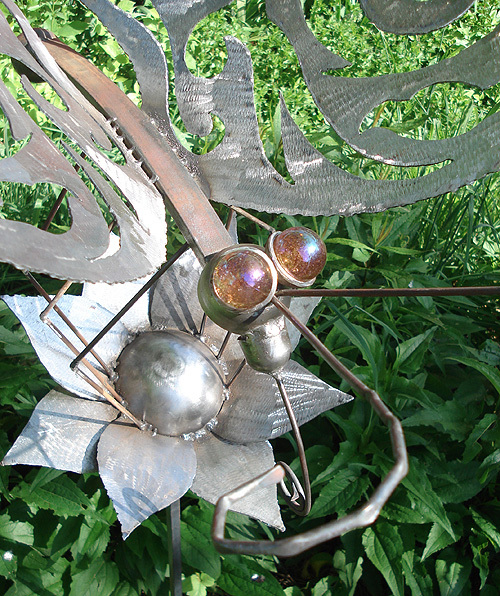 Finished the butterfly sculpture and placed it out in the garden here at Fossil Forge. You cannot go wrong with a mixture of beautiful skies, lush plants and cool metal bugs. Here are three views of the butterfly. Look in the gallery section of the site to see another one. I like this view, but the powerlines are a bit annoying.